I’m back! And I brought brunch. You’re welcome, world. But since the chances of Baby Bake arriving next week are pretty slim, I will get at least a few days to myself. Plans for next week include: packing for the hospital, getting a massage, recovering from this God-forsaken election, and eating a proper breakfast every.single.day. 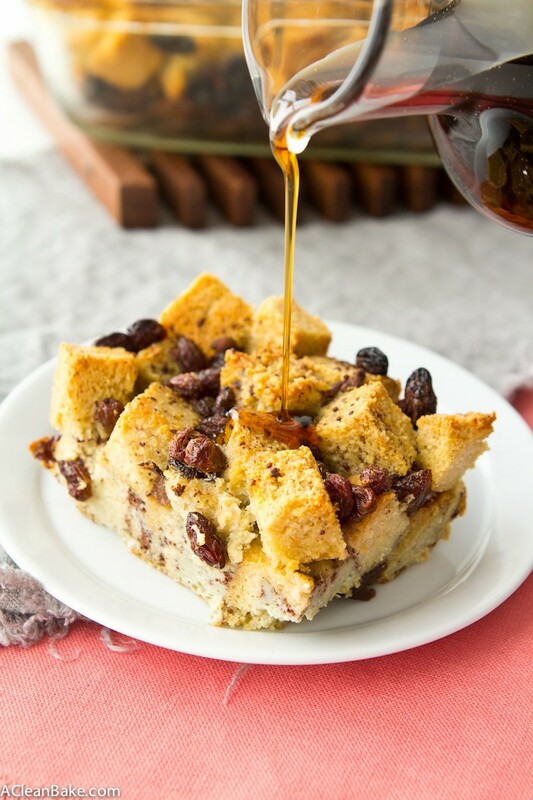 Preferably this paleo French toast casserole on repeat. Use grain-free sandwich bread, and add raisins and cinnamon to the batter. Use low-carb sandwich bread, and skip the raisins for the lowest-carb version of this breakfast. Use grain-free cinnamon raisin swirl bread for the cinnamon-iest, raisin-iest version possible. Or, of course, you could add tons more raisins to an already-packed cinnamon-raisin bread version if you want to go all in. Since it’s so perfect for a busy schedule, it’s kind of a miracle breakfast when it comes to the holidays. Hosting this year? Make, cube and freeze the bread in advance and just pull it out (and defrost) when you’re ready to make the breakfast. You can even prep the casserole the night before and bake it in the morning with minimal effort or fuss. And if you’re a guest and want to bring this along to take the holiday breakfast burden off of the hosts, make it ahead, and bring it, still warm, in the car. If you’re flying, I can even vouch for the fact that the loaves of bread (fully cooled and tightly wrapped and cushioned in your suitcase) travel well, too. How’s that for a no-excuses breakfast idea to tide you over until the near year? 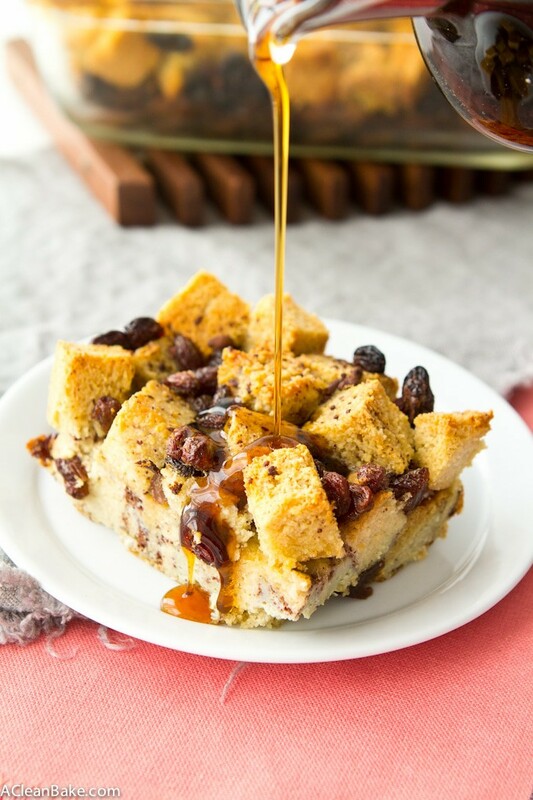 Paleo French toast casserole is the perfect breakfast! 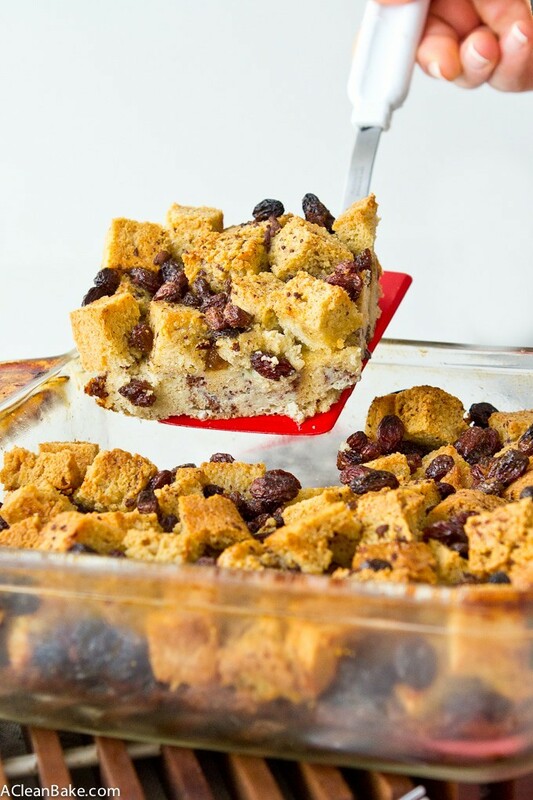 You can make it ahead of time, serve it for the holidays, or even freeze it for a busy morning! Preheat the oven to 350F. Lightly grease an 8"x8" baking pan. 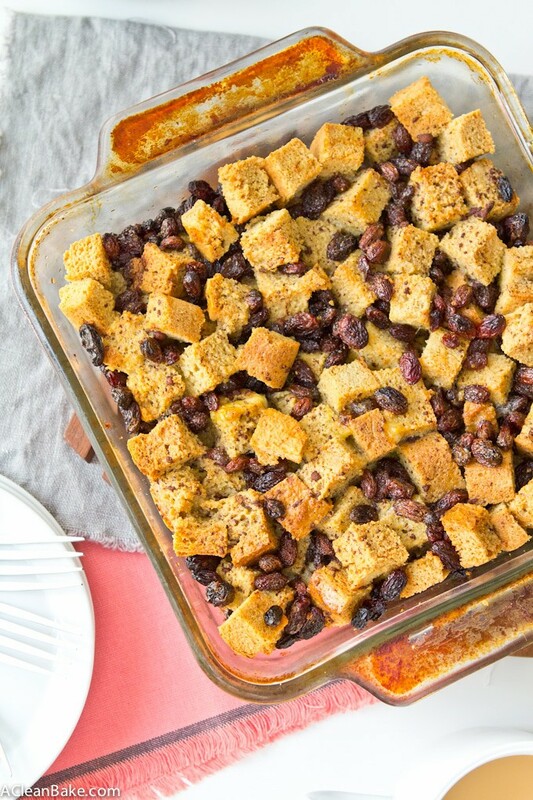 In a large mixing bowl, toss together the bread cubes and raisins, then transfer to the prepared baking pan and smooth into an even layer. 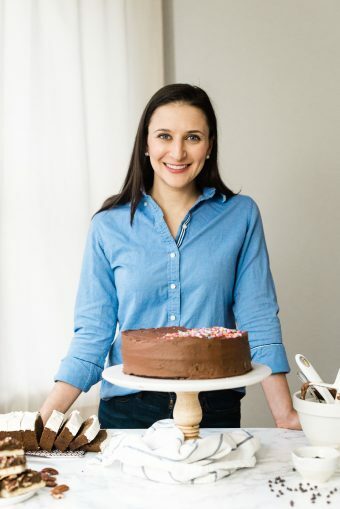 In a now-empty bowl, whisk the eggs, then whisk in the milk, vanilla, cinnamon and salt. 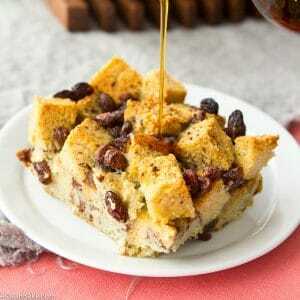 Pour the egg mixture over the bread and raisins in the pan. Bake for 45-60 minutes (mine was perfect at 50 minutes) until the top is crispy and browned. Remove from oven and cool slightly before slicing and serving. If you are using the cinnamon raisin swirl bread, reduce the raisins to 1/2 cup and reduce the cinnamon to 1/2 teaspoon. Store leftovers in an airtight container in the fridge for up to a week, or tightly wrapped in the freezer for up to 3 months. Note: Nutrition information calculated using Grain Free Sandwich Bread. This looks so good! Definitely a must-try for holiday brunch. 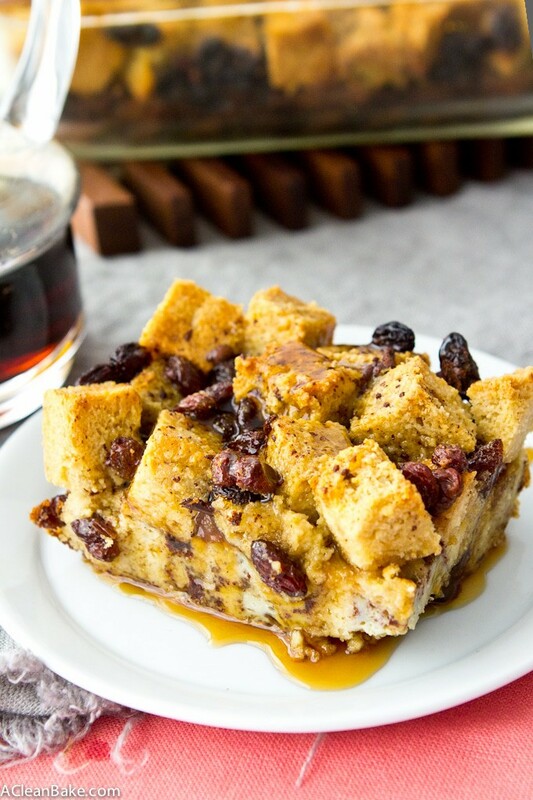 Hi I live in New Zealand what bread can we use to make the Paleo French Toast Casserole or any other recipes.